Any organized Chama meeting needs a good agenda. A clear agenda will improve the effectiveness of the meeting, yet it is often the most overlooked part. If you have no clear goals and are not prepared, the meeting will turn out to be a waste of time. 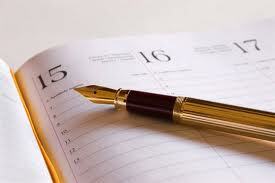 In this article I will explain the basics of a good agenda. You may think that your simple Chama meetings are effective without an agenda, but in effect they do have an agenda. These kinds of meetings are often about one subject, so the purpose of the meeting is very clear, the members are all directly involved and the result is a clear decision or action item. Chama meetings become ineffective when the goal is not clear. Keep the focus of the meeting as narrow as possible, define the topics to be discussed and do not allow additional issues to interfere. The actual agenda is just a list of topics or agenda items. It will clearly limit what will be discussed during the meeting and if done correctly for how long. It will help to stay focused and keep the Chama members involved. First on top of the agenda is normally to formally approve the minutes from the previous meeting and to get an update on the action items that were created in the previous meeting. Discussing the to-do list from the previous meeting will not only make sure things will get done nobody wants to explain in a meeting why she did not complete the assigned task, it will also give the Chama a sense of accomplishment. That feeling of accomplishment will positively influence the culture in your Chama.. When adding topics to the agenda make sure that they are related and that they are relevant to all members. If not, you may consider splitting the meeting into two or three different meetings and only invite those people that are involved in the subjects at hand. That way you will keep everyone engaged and motivated. To make sure you get maximum commitment and to encourage a real team culture, the meeting participants should have the opportunity to propose their related agenda topics. You can do it by sending emails back and forth, but someone has to maintain the master agenda. The final piece of effective preparation for your meeting is the availability and accessibility of supporting materials. This could be a report, financial statements, important incoming mail, or advertising materials, just anything that is necessary for discussing the relevant topic effectively. These materials should be made available in advance of the meeting so participants have enough time to study them. Keep in mind that proper preparation is the basis for success; for a good meeting it is the agenda. Make sure you address the what, who, when and where, provide the right supporting material and require the Chama members to come prepared. Your meetings will deliver results. Date & Time: Saturday, February 28, 2013 2 p.m. to 4 p.m.
To educate us on investing in the Nairobi Stock Exchange. Assign leader to ask discussion questions and have lengthy discussion.